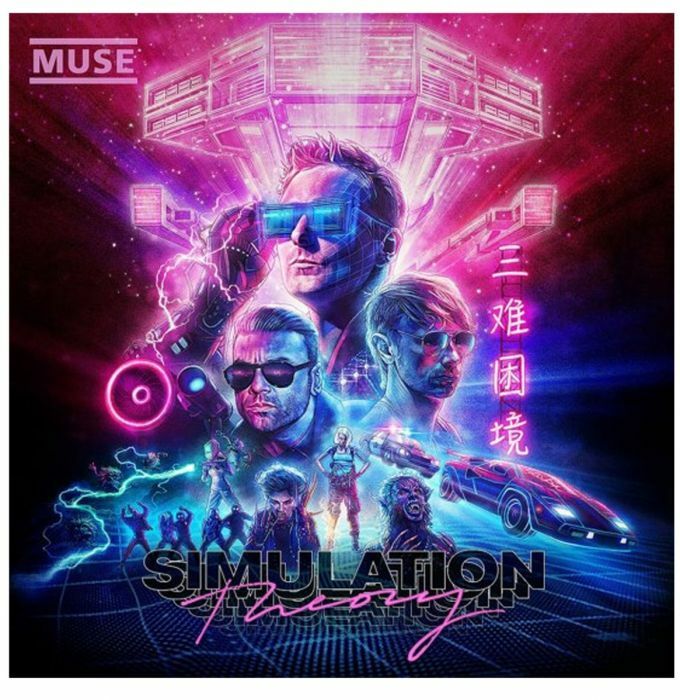 Top 5 Albums Of 2018: 5) Muse, Simulation Theory – music waffle. When a new Muse album is released you can almost hear the reviewers polishing their hob nailed boots, ready for the bruising. The Devon trio seem to draw a vehement reaction, based mainly on the fact that they’ve got the cheek to do something different to earlier albums (which the reviewers actually liked). Some of us are grateful to Muse for making rock music accessible and enjoyable. In Matt Bellamy there is a song writer with widescreen ideas and concepts, often based around politics and lack of freedom, coupled with his fantastic guitar playing, a falsetto voice and some natty red trousers. This offering has all the feels of the 1980s – so many influences are touched upon – Tron, Back To The Future, Thriller and Prince to name a few. It’s looking forwards while being retro at the same time. Simulation Theory is the idea that we could actually already be living in a computer generated reality. Frankly the idea has legs – I’d hate to think that car crash we are living through at the moment is the actual truth. Although plenty of tracks have been previewed from the album, what I find most interesting is how impressive the unheard tracks are – if there’s gold in them there hills, the album always seems better than if you’ve had the best of the crop as your hors d’oeuvre. So here we hit the jackpot with the wub wub duo Prop-pa-pa-pa-pa-pa-pa-pa-pa-pa-ganda (if I can count correctly) and Break It To Me. Propaganda manages to rhyme “Floozy” and “Woozy”, uses the Bellamy falsetto to the maximum and introduces a slide guitar when you weren’t expecting it. It’s full of interesting and quirky sounds and it gets weirder and even more wonderful with Break It To Me – I really do think Muse are at their best when they are being experimental and brave. This has a touch of the Middle Eastern about it and some monster grungy guitar twangs which make you think of Rage Against The Machine. It’s still basically a dance track, but one that might encourage some very dodgy dance moves indeed. Something Human is a really sweet song written at the end of the Drones Tour when Matt had had his fill of the terrifying overlords, Thought Contagion is full of hammer horror and Dig Down has a gorgeous gospel version as a Deluxe addition. While the opening tracks Algorithm and The Dark Side have a tad too much pedestrian synth chug for me and Get Up and Fight is just a bit of a weak song, it’s a good effort overall, and with my Tour tickets in the bag for next June, I can’t wait to enjoy their live performances next year.